Lee will be part of the upcoming The Original Art 2017 exhibit! 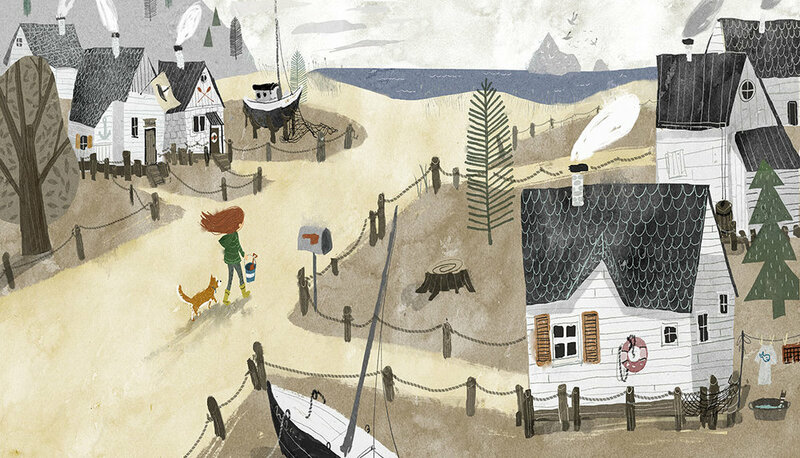 The exhibit, put on by the Society Of Illustrators, showcases art from the best picture books of the year. Lee is one of the featured artists for the picture book Emma and the Whale ðŸ˜€ It's quite an honor to be selected! The illustration above will be on display at the Society of Illustrators in NY from Nov. 1 thru Dec. 30. It's loosely inspired by the lovely beaches on Bainbridge Island, in the Puget Sound. Copyright Â© 2018. Lee White Illustration. All rights reserved.